It is now or never for Banbury Bulls – if they are make a late charge for the play-off spot. 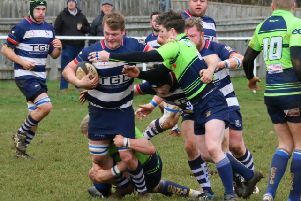 Bulls entertain Old Centralians in Saturday’s key Wadworth 6X South West One East clash looking to close the gap on the side that currently occupy second spot. Despite back-to-back defeats, player-coach Matt Goode is confident his side can get back to winning ways at the DCS Stadium. Goode said: “It’s obviously a massive game, we lost at Old Centralians but, with Jimmy Manley breaking his leg after two minutes, that disrupted us a lot. I think we should have won at their place, so we’ll look to show what we’re capable of. “We lost three in a row earlier in the season, including a loss at Old Centralians, and we don’t want that to happen again. We want Saturday’s game to be the start of a winning run between now and the end of the season. “We’ve set the players a target and that is to go undefeated for the rest of the season. Saturday’s game is key to that and one we need to win to kick-start us. “We know Old Centralians are a good side but the way we’ve been performing in recent games I’m hopeful we can get the win. Even though we’ve lost our last two games, the performances in both were very good. Goode will have some big decisions to make ahead of Saturday’s game with a full squad to choose from. Dan Brady, Nick Pratt, Matt Powell and Sam Stoop are all expected to return. Late club stalwart Tim Rogers will be honoured at Saturday’s game and Goode hopes that will give his players any extra motivation they need to perform well. 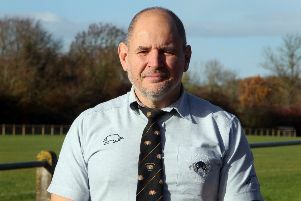 He added: “Tim Rogers was a massive figurehead at Banbury RUFC and it was a privilege to know him.